es586731 - What are we working on - Who is ready for Spring? I can tell you that, I don't mind the snow, I dont love it, but I don't mind it, however, I am so very tired of the temperatures hovering around zero and in the single digits! It should be warmer by now, it's the end of February, that means almost spring right? I am trying to be in a spring kind of mood and have started working on a few spring and Easter items. Do you decorate for Easter or Spring? I do, but just a little here and there. No big displays, just enough to add some color and smiles to my home. 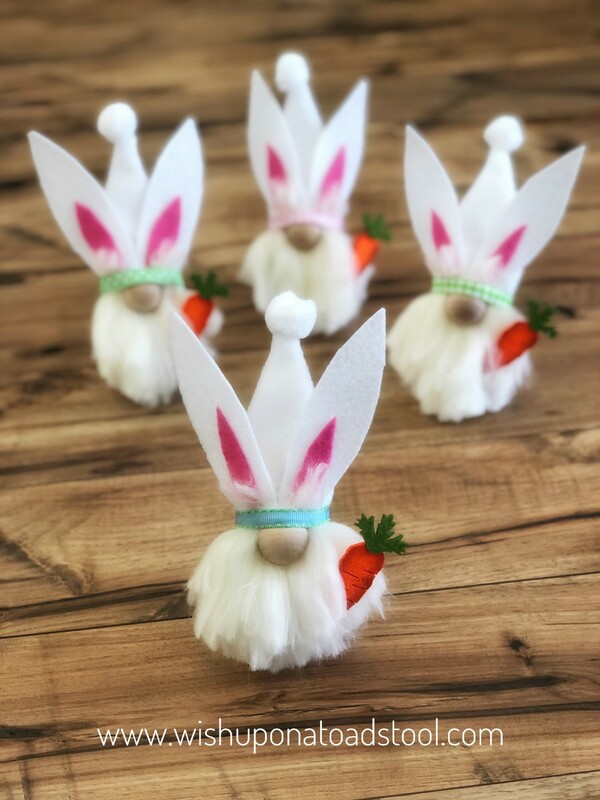 I am currently working on these adorable little bunny gnomes! A friend of mine called them little carrot smugglers! I guess that is a fairly accurate description!